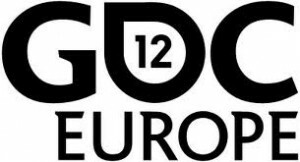 Meet Interactive Selection at GDC Europe & gamescom 13 /15 Aug. 2012 in Cologne. Interactive Selection returns to GDC Europe and gamescom 2012 in Cologne, Germany, 13-15 August. David Smith & Aurelie Busollo are keen to meet our many German and international clients in Germany. Interactive Selection first went to the main German trade show in Leipzig back in 2004. David spoke at the GCDC ( German Games Developers Conference) in 2006. We have fond memories of the Leipzig show growing and growing and now Gamescom in Cologne is doing the same. We look forward to meeting with as many of our German friends as possible over our 3 days. To book a meeting in advance, please contact david AT interactiveselection DOT com.